I love a slim jack. This is the grail of the category. 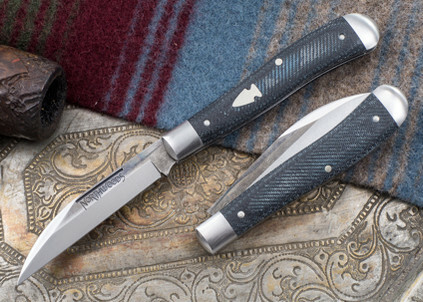 Named after one of the most eclectic, interesting streets in Portland, the Hawthorne is a knife that will find its way into the pockets and hearts of all kinds of knife nuts. 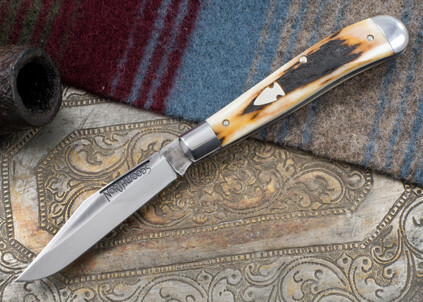 The Hawthorne is an elegant knife, but not afraid of hard work. 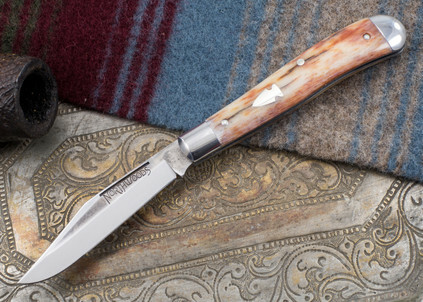 We took an elegant knife, gave it our rustic finish and matched it up with beautiful handle materials. 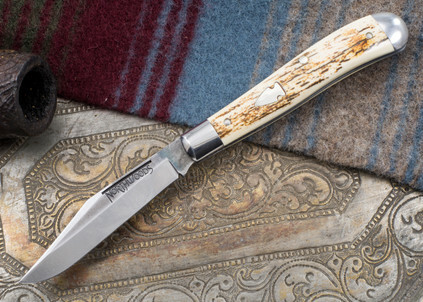 The result is a pocket knife at home in jeans or slacks--in the workplace or the wilderness. Instead of a boring box, each Northwoods Hawthorne comes with a Main Street PocketSlip stamped with our Northwoods logo. There are two blade profiles to choose from--a clip point and a Wharncliffe. Fit and finish are top shelf. The knife is 3 7/8" closed and is made with 1095 carbon steel.